Chances are you’ve by now realized that Apple’s content stores and other iCloud services are experiencing widespread downtime. Earlier this morning, Twitter lit up with complaints from users around the world who reported being unable to download apps, music, movies, TV shows and books, as well as buy in-app content, with some even unable to sign in to online service like iCloud Mail. In an official statement issued to CNBC, Apple’s apologized for inconveniencing customers and said the multi-hour outage is caused by “an internal DNS error” at the firm. As you could imagine, they’re scrambling to produce a fix. 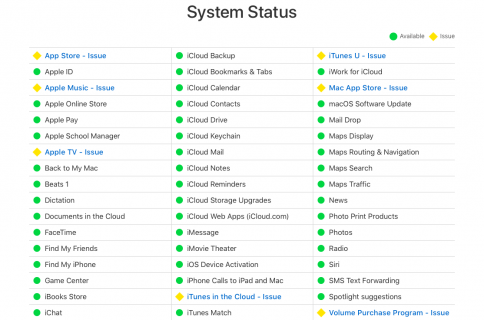 UPDATE: following what became an eleven-hour long outage, the App Store and iTunes services are now back online. “We apologize to our customers experiencing problems with iTunes and other services this morning,” said Apple in the statement. The outages began around 5am ET and extended through midday. “Customers may be unable to make purchases from the App Store, iTunes Store, iBooks Store, or Mac App Store,” reads the latest status update. Some people may have been unable to use iCloud Mail or sign in to iCloud Account or Apple ID services. On Twitter, people reported having issues buying content within apps using Apple’s In-App Purchase mechanism and The Next Web said earlier this morning that the iTunes Connect and TestFlight developer services are down as well. The outage is even affecting some Apple Store employees. 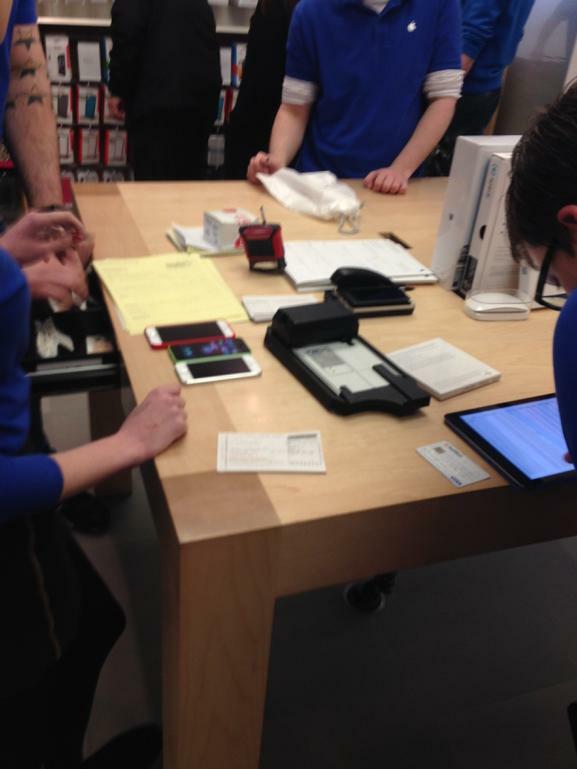 For instance, over in the United Kingdom one user tweeted out (see above) an image showing Apple Store employees resorting to paper payment methods because the normal iPhone-based system didn’t work due to iCloud problems.